Cities: Capital: Tehran. Other cities — Isfahan, Tabriz, Mashhad, Shiraz, Yazd, Qom. Nationality: Noun and adjective — Iranian(s). Population growth rate (2011 est. ): 1.248%. Ethnic groups (2008 est. ): Persian 61%, Azeri 16%, Kurd 10%, Lur 6%, Baloch 2%, Arab 2%, Turkmen and Turkic tribes 2%, other 1%. Religions: Shi'a 89%, Sunni 9%, Zoroastrian, Jewish, Christian, and Baha'i 2%. Languages (2008 est. ): Persian 53%, Azeri Turkic and Turkic dialects 18%, Kurdish 10%, Gilaki and Mazandarani 7%, Luri 6%, Balochi 2%, Arabic 2%, other 2%. Education (2002 est. ): Literacy (population age 15 and over who can read and write) — total 77%, male 83.5%, female 70.4%. Health: Infant mortality rate (2011 est.) — 42.26 deaths/1,000 live births. Life expectancy at birth (2011 est.) — 70.06 years. Branches: Executive — Supreme Leader (head of state), President (head of government), Council of Ministers, Assembly of Experts, Expediency Council, Council of Guardians. Legislative — 290-member Majles (National Assembly, or Islamic Consultative Assembly). Judicial — Supreme Judiciary. Political parties: Several conservative groups have come together under two separate coalitions, the United Front of Principlists and the Broad and Popular Coalition of Principlists. Some conservative groups remain outside either coalition. Similarly, several reformist groups, such as the Islamic Iran Participation Front (IIFP, also known as Mosharekat) and the Mojahideen of the Islamic Revolution (MIRO) came together as a reformist coalition in advance of the 2008 Majles elections. Another influential reformist group is the National Trust Party. GDP (purchasing power parity, 2010 est. ): $818.7 billion. GDP (official exchange rate, 2010 est. ): $357.2 billion. GDP real growth rate (2010 est. ): 1%. GDP composition by sector (2010 est. ): Agriculture 10.9%, industry 41.2%, services 47.9%. Per capita income (PPP, 2010 est. ): $10,600. Work force (2010 est. ): 25.7 million. Work force - by occupation (June 2007): Agriculture 25%, industry 30%, services 45%. Unemployment rate (2010 est., according to the Iranian Government): 13.2%. Agriculture: Principal products: wheat, rice, other grains, sugar beets, fruits, nuts, cotton, dairy products, wool, caviar. Industry: Types: petroleum, petrochemicals, textiles, cement and building materials, food processing (particularly sugar refining and vegetable oil production), metal fabricating (particularly steel and copper), armaments. Trade: Exports (2010 est. ): $84.92 billion. Exported commodities — petroleum 80%, chemical and petrochemical products, carpets, fruits, nuts. Major export partners (2010) — China 16.2%, India 12.6%, Japan 9.9%, Turkey 6.8%, South Korea 5.7%, Italy 5.3%. Imports (2010 est.) — $58.97 billion. Types — industrial supplies, capital goods, foodstuffs and other consumer goods, technical services. Major import partners (2010) — China 17.4%, U.A.E. 16.7%, Germany 7.6%, South Korea 6.3%, Russia 5.7%, Turkey 4.8%, Italy 4.2%. Iran is a pluralistic society. Persians are the largest ethnic group in Iran, though many are actually of mixed ancestry. The population of the country has important Turkic elements (e.g., Azeris) and Arabs predominate in the southwest. In addition, Iran's population includes Kurds, Balochi, Bakhtyari, Lurs, and other smaller minorities, such as Armenians, Assyrians, Jews, and Brahuis (or Brohi). The 1979 Islamic Revolution and the 1980-88 Iran-Iraq war transformed Iran's class structure politically, socially, and economically. During this period, Shi'a clerics took a more dominant position in politics and nearly all aspects of Iranian life, both urban and rural. After the fall of the Pahlavi dynasty in 1979, much of the urban upper class of prominent merchants, industrialists, and professionals, favored by the former monarch, Shah Mohammad Reza Pahlavi, lost standing and influence to the senior clergy and their supporters. However, Bazaar merchants, who were allied with the clergy against the Shah, gained significant political and economic power after the revolution. The urban working class has enjoyed a somewhat enhanced status and economic mobility, spurred in part by opportunities provided by revolutionary organizations and the government bureaucracy. Though the number of clergy holding senior positions in the Majles and elsewhere in government has declined since the 1979 revolution, Iran has nevertheless witnessed the rise of a post-revolutionary elite among clerics who are strongly committed to the preservation of the Islamic Republic. In addition, service in the Islamic Revolutionary Guard Corps (IRGC) provides veterans with employment opportunities as the IRGC controls larger parts of the economy and government bureaucracy. 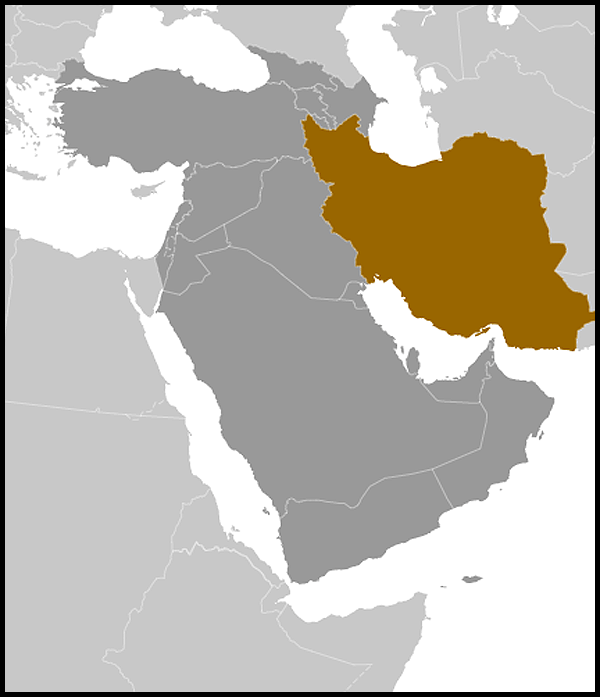 Most Iranians are Muslims; 89% belong to the Shi'a branch of Islam, the official state religion, while about 9% belong to the Sunni branch. Non-Muslim minorities include Christians, Zoroastrians, Jews, and Baha'is. The ancient nation of Iran, historically known as Persia, has traditionally been a major power in the region. Despite invasions by Arabs, Seljuk Turks, and Mongols, Iran has always reasserted its national identity and taken pride in its unique cultural and political heritage. Archeological findings indicate that human activity in Iran dates back to the middle Paleolithic era, about 100,000 years ago. The sixth millennium B.C. saw the emergence of a fairly sophisticated agricultural society and the rise of proto-urban population centers. Many dynasties have ruled Iran, beginning with the Achaemenid (559-330 B.C. ), which was founded by Cyrus the Great. After the conquest of Persia by Alexander the Great ushered in the Hellenistic period (300-250 B.C. ), ancient Iran was ruled by the Parthian (250 B.C.-226 A.D.) and the Sassanian (226-651) dynasties. The seventh-century Arab conquest of Iran, which introduced Islam to the population, was followed by invasions by the Seljuk Turks and the Mongols. Iran experienced a political and cultural revival under the Safavid dynasty (1502-1736), during which Shah Abbas expelled the Uzbeks and Ottomans from Persia. The conqueror Nadir Shah and his Afsharid dynasty (1736-1749) were succeeded by the Zand dynasty (1750-1794), which was founded by Karim Khan, and later the Qajar (1795-1925) and the Pahlavi (1925-1979) dynasties. Many date the beginning of modern Iranian history to the nationalist uprisings against the Shah in 1905 and the establishment of a limited constitutional monarchy in 1906. The discovery of oil in 1908 would later become a key factor in Iranian history and development. In 1921, Reza Khan, an Iranian officer of the Persian Cossack Brigade, seized control of the government. In 1925, after finally ousting the Qajar dynasty, he declared himself Shah and established the Pahlavi dynasty. Reza Shah forcibly enacted policies of modernization and secularization in Iran and reasserted government authority over the country's tribes and provinces. In 1935, Reza Shah Pahlavi changed the country's name to Iran to accentuate Persia's Aryan roots. During World War Two, the Allies feared that the Shah's close relations with Nazi Germany would jeopardize Iran as a source of oil and a vital supply link to the Soviet Union. In September 1941, following the occupation of western Iran by the Soviet Union and the United Kingdom, Reza Shah was forced to abdicate. His son, Mohammad Reza Pahlavi, ascended to the throne. After the war, Soviet troops stationed in northwestern Iran refused to withdraw across the border and, instead, supported short-lived, pro-Soviet separatist regimes in the northern provinces of Azerbaijan and Kurdistan. In 1946, under U.S. and United Nations pressure, the Soviets were forced to withdraw their troops. The Shah's forces then moved in to suppress the Azerbaijani and Kurdish revolts. In 1951, the government of nationalist Prime Minister Mohammed Mossadegh (alternatively spelled Mossadeq) nationalized the British-owned Anglo-Iranian Oil Company. In the face of strong public support for Mossadegh, the Shah fled to Rome. Although Mossadegh was not a communist, the U.S. and U.K. feared that his links to the communist Tudeh party would cause Iran to align with the Eastern Bloc. Consequently, in August 1953, the U.S. and U.K. supported a coup against the democratically elected Mossadegh, during which pro-Shah army forces arrested the Prime Minister. The Shah returned to Iran soon thereafter and, fearing further opposition, began to govern Iran in an increasingly authoritarian manner. In 1961, Iran administered a series of economic, social, and administrative reforms — pushed by the Kennedy administration — that became known as the White Revolution. As a result of this program, which was driven by reform, modernization and economic growth proceeded at an unprecedented rate. This tremendous growth was fueled by Iran's vast petroleum reserves, which were then the third-largest in the world. However, while Iran's economy prospered, democratic reform and civil liberties deteriorated. The Shah's autocratic method of rule and the abusive practices of SAVAK (his internal security and intelligence service) alienated large sectors of the population, including the Shi'a clergy. The clergy also objected to land reforms that led to the breaking up of their large land holdings. In 1978, domestic turmoil turned to revolution driven by several disparate groups — nationalists, Islamists, Marxists, and students — who joined together in opposition to the Shah. In January 1979, the Shah fled Iran for Egypt, later traveling to the U.S. to seek medical treatment for cancer; he died in exile in Egypt 1 year later. On February 1, 1979, exiled religious leader Ayatollah Ruhollah Khomeini returned from France to assume control of the revolution and establish himself as Supreme Leader of a new, theocratic republic guided by Islamic principles. As Supreme Leader, Khomeini steered Iran's foreign policy sharply away from its close alignment with the West. In September 1980, during the U.S. hostage crisis, Iraq invaded Iran to prevent the spread of the Islamic Revolution to Iraq's Shi'a, seize the heavily Arab province of Khuzestan. After 8 punishing years of war, in July 1988 the Islamic Republic of Iran at last agreed to the cease-fire implemented in UN Security Council Resolution 598. Neither nation made any significant territorial gains in the war, although both suffered massive casualties. Iran's relations with many of its Arab neighbors were strained during the early years of the Islamic Republic because of fears that the Islamic Revolution would spread abroad. Following Khomeini's death on June 3, 1989, the Assembly of Experts chose the outgoing president of the republic, Ali Khamenei, to succeed him as Supreme Leader, despite Khamenei's relative lack of religious credentials. In August 1989, Akbar Hashemi-Rafsanjani, Speaker of the Majles, was elected President by an overwhelming majority. He was re-elected June 1993, albeit with a more modest majority. Some Western observers attributed the reduced support for Rafsanjani in 1993 to popular disenchantment with Iran's deteriorating economy. In August 1997, an overwhelming majority of Iranians elected reformist cleric Mohammad Khatami as President, hoping he would usher in a new era of freedom and reform. Khatami had modest successes in broadening the participation of Iranians in government by holding popular elections for local government councils and encouraging the development of civil society. Although many liberal-minded Iranians were disappointed that Khatami did not support student protesters in 1999, he retained enough popular support to secure re-election in June 2001. In February 2004, elections were held for the Seventh Majles, in which many reformists were prohibited from running, resulting in a more conservative group of parliamentarians in control of the Majles. In March 2008, the Iranian Government again interfered in parliamentary elections. Although reformist candidates managed to hold onto their positions, the Eighth Majles remained under the control of conservative blocs. None of the seven presidential candidates on the ballot for the June 17, 2005 elections received a majority, resulting in a two-candidate runoff on June 24 between Tehran mayor (and IRGC veteran) Mahmoud Ahmadi-Nejad and former president Akbar Hashemi Rafsanjani. Some Iranian politicians alleged voter fraud and electoral interference by the IRGC-controlled Basij militia forces during the first round of voting. Ahmadi-Nejad, who won in the second round with nearly 62% of the vote according to Iranian Government figures, assumed office in August 2005. Ahmadi-Nejad was re-elected as Iran's president in June 2009, in a multiparty election that many Iranians considered neither free nor fair. Due to a lack of independent international election monitors, international organizations could not verify the results. Although the final vote tallies remain disputed, the Iranian Government's official results allocated 62.6% of the vote to Ahmadi-Nejad, with his closest challenger, Mir Hossein Mousavi, receiving 33.8%. The December 1979 Iranian constitution defines the political, economic, and social order of the Islamic Republic. The document establishes Shi'a Islam of the Twelver (Jaafari) sect as Iran's official religion. Sunni Islam, Zoroastrianism, Judaism, and Christianity are the only other recognized, legal minority religions. The country is governed by secular and religious leaders through governing bodies, whose duties often overlap. The Supreme Leader holds power for life unless removed by the Assembly of Experts. He has final say on all domestic, foreign, and security policies for Iran, though he establishes and supervises those policies in consultation with other bodies, including the National Security Council and the Expediency Council. The Supreme Leader is the final arbiter on nearly all disputes among the various branches of government, although the Expediency Council is charged with resolving disputes between the Majles and the Council of Guardians. The Supreme Leader appoints officials to key positions including the head of judiciary and the Council of Guardians. He has the power to remove the president and is commander-in-chief of the armed forces. The constitution stipulates that the Assembly of Experts, which consists of 86 popularly-elected clerics elected to 8-year terms, chooses the Supreme Leader based on jurisprudent qualifications and commitment to the principles of the revolution. The Assembly of Experts reviews his performance periodically and has the power to depose and replace him. Pragmatic conservative candidates generally polled better than their hardline conservative opponents during the December 15, 2006 elections for the Assembly of Experts. Turnout was reportedly 60%, according to unverified Iranian Government statistics. Citizens will not vote for representatives for the Assembly again until 2014. The Council of Guardians consists of 12 persons. The Supreme Leader appoints the six religious members of the Council, while the Majles selects the six lay members from candidates recommended by the judiciary (which is, in turn, selected by the Supreme Leader). The non-clerics play a role only in determining whether legislation before the Majles conforms to Iran's constitution. The religious members, on the other hand, take part in all deliberations, considering all bills for conformity to Islamic principles. The Council of Guardians can veto any law. This body also certifies the competence of candidates for the presidency, the Assembly of Experts, and the Majles, and it has the power of approbatory supervision over elections. The president of the Islamic Republic of Iran is elected by universal suffrage to a 4-year term. The president supervises the affairs of the executive branch, appointing and supervising the Council of Ministers (members of the cabinet), coordinating government decisions, and selecting government policies to be placed before the Majles. The Majles, or National Assembly, consists of 290 members elected to 4-year terms. Elections are held by secret ballot from amongst the candidates approved by the Council of Guardians. In 1988, Ayatollah Khomeini created the Expediency Council, which resolves legislative issues on which the Majles and the Council of Guardians fail to reach an agreement. Since 1989, it has been used to advise the Supreme Leader on matters of national policy as well. The Expediency Council is composed of the president, the speaker of the Majles, the judiciary chief, the clerical members of the Council of Guardians, and other members appointed by the Supreme Leader for 3-year terms. Cabinet members and Majles committee chairs also serve as temporary members when issues under their jurisdiction are considered. In 2005, it was announced that the Expediency Council, which now has over 40 members, would have supervisory powers over all branches of government, though that has not resulted in any noticeable change in this institution's day-to-day authority or operations. Judicial authority is constitutionally vested in the Supreme Court and the four-member High Council of the Judiciary; although these are two separate groups, they have overlapping responsibilities and one head. Together, they are responsible for supervising the enforcement of all laws and establishing judicial and legal policies. Iran has 30 provinces managed by an appointed governor general. The provinces are further divided into counties, districts, and villages. Sixty percent of eligible voters took part in the first-ever municipal and local council elections in 1999, although a lower percentage went to the polls in the second round in 2003. Turnout for the December 15, 2006 elections, during which citizens also elected Assembly of Expert representatives, was reportedly over 60%. The local councils select mayors. Iran has two military forces. The national military is charged with defending Iran's borders, while the Islamic Revolutionary Guard Corps is charged with protecting the revolution and its achievements. The Qods Force, a branch of the IRGC, is the regime's primary mechanism for cultivating and supporting terrorists abroad. The Qods Force provides aid in the form of weapons, training, and funding to Hamas and other Palestinian terrorist groups, Lebanese Hizballah, Iraq-based militants, and Taliban fighters in Afghanistan. In 1981, Iran supported a plot to overthrow the Bahrain Government and, in 1983, Ayatollah Khomeini expressed support for Shi'a who bombed Western embassies in Kuwait. In 1987, Iranian pilgrims rioted during the hajj (pilgrimage) in Mecca, Saudi Arabia. Iranian officials were involved in both training and assisting Saudi Hizballah operatives in executing the 1996 terrorist bombing of the U.S. military housing facility at Khobar Towers near Dhahran, Saudi Arabia, which killed 19 and wounded more than 500 other persons, including 240 U.S. military personnel. Senior IRGC and Qods Force officials were indicted by the Government of Argentina for their alleged roles in the 1994 terrorist bombing of the Asociacion Mutual Israelita Argentina (the Argentine Israelite Mutual Association, or AMIA), which killed 85 people and wounded scores of others. Iran's post-revolution difficulties have included an 8-year war with Iraq, internal political struggles and unrest, and economic disorder. The early days of the regime were characterized by severe human rights violations and political turmoil, including the seizure of the U.S. Embassy compound and its occupants on November 4, 1979, by Iranian students. Iranian authorities released the 52 hostages only after 444 days of captivity. By mid-1982, the clergy had won a succession of post-revolution power struggles that first eliminated the center of the political spectrum and then the leftists. Although Iran experienced a partial expansion of political and social freedoms during the tenure of former president Khatami, serious problems remained. Since taking office in 2005, President Ahmadi-Nejad's administration has cracked down on civil society, continued to violate human rights, tightened constraints on press freedom, and harassed activists, including Nobel Prize laureate Shirin Ebadi and reform leaders Mehdi Karroubi and Mir Hussein Moussavi. The Islamic Republican Party (IRP) was Iran's sole political party until its dissolution in 1987. Iran now has a variety of groups engaged in political activity; some are oriented along ideological or ethnic lines, while others are more akin to professional political parties seeking members and recommending candidates for office. Conservatives consistently thwarted the efforts of reformists during the Khatami era and have consolidated their control on power since the 2004 Seventh Majles elections and President Ahmadi-Nejad's 2005 electoral victory. In the period following the June 2009 presidential election, Iran's already poor human rights record further degenerated. Following the June 13, 2009 announcement of President Ahmadi-Nejad's reelection, hundreds of thousands of citizens took to the streets to protest. Police and the IRGC-controlled paramilitary Basij violently suppressed demonstrations. The official death count was 37, but opposition groups reported approximately 70 individuals died, and human rights organizations suggested as many as 200. In August 2009 the judiciary estimated that authorities detained approximately 4,000 persons. During 2011, authorities continued to suppress periodic opposition protests and continued to arrest numerous political activists, women's rights reformers, minority rights activists, and student activists. Please see the State Department's 2010 Human Rights Report (http://www.state.gov/j/drl/rls/hrrpt/2010/nea/154461.htm) for additional information. The Islamic Republic of Iran has faced armed opposition from a number of groups, including the Mujahideen-e Khalq (added to the U.S. Government's Foreign Terrorist Organizations list in 1997), the People's Fedayeen, the Kurdish Democratic Party of Iran, the Party for a Free Life in Kurdistan (added the to the U.S. Government's Foreign Terrorist Organizations list in 2009), and the Baluchi group Jundallah (added to the U.S. Government's Foreign Terrorist Organizations list in 2010). Since September 2002, the International Atomic Energy Agency (IAEA) has been working to clarify the nature of Iran's nuclear program. In one of his most detailed reports to the Board of Governors on Iran's activities, Director General Mohamed ElBaradei indicated in November 2004 that Iran had failed to report, declare, and provide information on a number of critical issues. Since November 2004, IAEA Directors General have issued numerous reports on Iran's implementation of its Nuclear Nonproliferation Treaty (NPT) Safeguards Agreement and relevant provisions of UN Security Council Resolutions 1737, 1747, 1803, and 1929. The IAEA Board found Iran in noncompliance with its Safeguards Agreement in September 2005 and, after Iran restarted uranium enrichment activities at Natanz in January 2006, the Board reported Iran to the UN Security Council (UNSC) for its noncompliance. In response to the IAEA Board of Governor's finding of noncompliance, the UNSC has adopted a Presidential Statement (S/PRST/2006, March 2006) and six resolutions (UNSCRs) on Iran: UNSCR 1696 (July 2006), UNSCR 1737 (December 2006), UNSCR 1747 (March 2007), UNSCR 1803 (March 2008), UNSCR 1835 (September 2008), and UNSCR 1929 (2010). Four of the six resolutions (UNSCRs 1737, 1747, 1803, and 1929) impose Chapter VII (legally binding) sanctions on Iran. 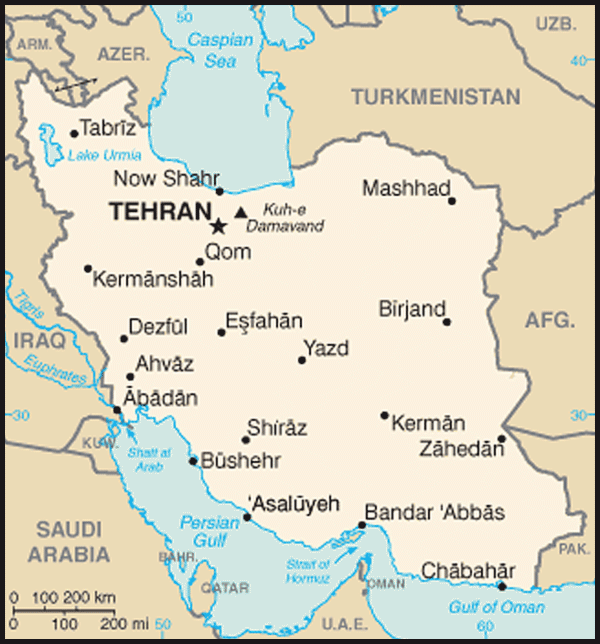 In June 2006, China, France, Germany, Russia, the United States, and United Kingdom — the P5+1, also known as the E3+3 — offered Iran a substantial incentives package of economic cooperation and assistance in return for Tehran's full cooperation with the IAEA and suspension of its uranium enrichment-related and reprocessing activities. The P5+1 presented Iran with a refreshed package of incentives in June 2008, but Iran has yet to respond clearly and positively to this offer, or comply with its UNSC and IAEA obligations. On April 8, 2009, the P5+1 invited Iran to meet with the group to resolve international concerns and rebuild the confidence of the international community. On October 1, 2009, the United States and the other P5+1 members met with representatives from Iran in Geneva, Switzerland. In late 2009, Iran appealed to the IAEA for fuel assemblies for the Tehran research reactor (TRR), which has operated for decades and produces medical isotopes. The IAEA, with support from the United States, France, and Russia, offered a TRR re-fueling proposal that would utilize Iran's own available low-enriched uranium (LEU) at the Natanz fuel enrichment plant by sending 1,200 kilograms of the LEU to Russia for further enrichment, fabricating it into fuel, and returning it to Iran for use in this safeguarded reactor. The plan would have provided the TRR with much-needed fuel to continue to produce medical isotopes while also beginning to build international confidence in Iran's peaceful intent by removing the majority of its LEU stockpile from Iran's territory; however, parties did not reach an agreement on the swap deal. On June 9, 2010, the UNSC adopted Resolution 1929, the fourth legally binding resolution calling on Iran to halt its proliferation-sensitive nuclear activities and comply with its NPT, UNSC, and IAEA safeguards obligations. The resolution calls for several actions to restore international confidence in the peaceful nature of Iran's nuclear program. International concerns regarding the nature of Iran's nuclear program were deepened and reaffirmed by a November 2011 IAEA Director General's report that concluded that Iran has carried out activities "relevant to the development of a nuclear explosive device," and "that prior to the end of 2003, these activities took place under a structured program, and that some activities may still be ongoing." On November 18, 2011, the IAEA Board of Governors passed a resolution expressing its deep concern about the unresolved issues regarding Iran's nuclear program and calling on Iran "to engage seriously and without preconditions in talks aimed at restoring international confidence in the exclusively peaceful nature of Iran's nuclear program." Pre-revolutionary Iran's economic development was rapid. Traditionally an agricultural society, by the 1970s Iran had achieved significant industrialization and economic modernization based on an import-substitution model, largely aided by the growing worldwide demand for oil. However, the pace of growth had slowed dramatically by 1978, just before the Islamic Revolution. Since the fall of the Shah, economic recovery has proven elusive due to a combination of factors, including state interference in the economy and fluctuations in the global energy market. Economic activity was further disrupted by years of domestic political upheaval immediately following the revolution. These conditions were worsened by the war with Iraq and the decline in world oil prices beginning in late 1985. After the Iran-Iraq war, Iran's economic situation began to improve: GDP grew for 2 consecutive years, partly from an oil windfall in 1990, and there was a substantial increase in imports. Iran's social policies during the Iran-Iraq war additionally resulted in a baby boom, which has left Iran with a large, underemployed youth population today. As a result, Iran suffers from a "brain drain" as its educated youth leave the country to pursue better economic opportunities abroad. In March 1989, the government instituted a new 5-year plan for economic development, which loosened state control and allowed Iranians greater latitude in accessing foreign capital. However, mismanagement and inefficient bureaucracy, as well as political and ideological infighting, hampered the formulation and execution of a consolidated economic policy, and Iran fell short of the plan's goals. Economic growth was further hindered by a decrease in oil revenues in 1991 and growing external debt. Former president Khatami followed the market reform plans of his predecessor, President Rafsanjani, and indicated that he would pursue diversification of Iran's oil-reliant economy, although he made little progress; high inflation and expansive public transfer programs, as well as powerful economic and political vested interests, posed obstacles for rapid reform during the Khatami era. Unemployment, a major problem even before the revolution, has continued to plague Iran. However, unemployment statistics only tell part of the story — underemployment continues to affect a large portion of Iran's young, educated workforce. Although Iran's poorer, rural population initially enjoyed a psychological boost from the attention given them by the new Islamic government, they are only marginally better off in economic terms. The government has made some progress on rural development, including electrification, road building, and increased access to education, but Iran still suffers from inefficiencies related to agricultural land usage that are politically difficult to reconcile. The agriculture sector still suffers from shortages of capital, raw materials, and equipment — problems that date back to the 1980-1988 Iran-Iraq war. Although Islam guarantees the right to private ownership, banks and some industries — including the petroleum, transportation, utilities, and mining sectors — are owned or controlled by the government. Under President Rafsanjani, Iran first began to pursue some privatization through its nascent equities markets. However, the industrial sector, plagued by low labor productivity and shortages of raw materials and spare parts, remains uncompetitive against foreign imports. Today, Iran's economy is struggling as a result of sanctions, a bloated and inefficient state sector, and an overdependence on the oil sector. Although the Supreme Leader issued a decree in July 2006 to privatize 80% of the shares of most government-owned companies, private sector activity is typically limited to small-scale workshops, farming, and the service industry. As a result of inefficiencies in the economy, significant informal market activity flourishes and shortages of goods are common. A combination of price controls and subsidies continues to weigh down the economy, while administrative controls and widespread corruption undermine the potential for private-sector-led growth. 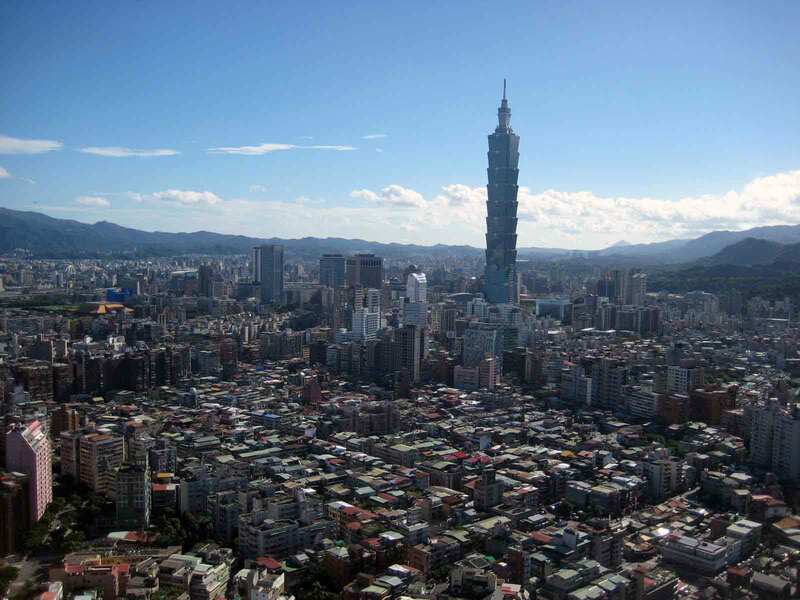 Previous government-led efforts at economic reform — such as fuel rationing in July 2007 and the imposition of the value added tax (VAT) in October 2008 — were met with stiff resistance and violent protests. In 2010, the Iranian Government passed the Targeted Subsidies Reform, which aims to remove state subsidies on certain commodities and replace them with direct monthly social assistance payments. Inflation and the unemployment rate continue to be in the double digits. Widespread underemployment amongst Iran's educated youths has convinced many to seek employment overseas. While Iran's economic quandary may look grim, Iran has fared worse — notably during the Iran-Iraq war. On November 4, 1979, Iranian students seized the American Embassy in Tehran, where they held 52 Americans hostage for 444 days. Although it has been claimed that Ayatollah Khomeini did not have prior knowledge of the students' plans, he gave his full support to them throughout the seizure. The students claimed that they occupied the American Embassy to avert another U.S.-orchestrated coup to restore the Shah to power; suspicions arose after the U.S. admitted the Shah for medical treatment in October 1979. On April 7, 1980, the United States broke diplomatic relations with Iran, and on April 24, 1981, the Swiss Government assumed representation of U.S. interests in Tehran. Iranian affairs in the United States were represented by Algeria until 1993, when Algeria broke diplomatic relations with Iran, accusing the Tehran regime of interfering with Algeria's internal affairs. Since 1993, Iran has been represented by the Embassy of Pakistan, in the Iranian Interests Section, in Washington, DC. Iran also has a permanent mission to the United Nations in New York City. In accordance with the Algiers declaration of January 20, 1981, the Iran-U.S. Claims Tribunal (located in The Hague, Netherlands) was established for the purpose of handling claims of U.S. nationals against Iran and of Iranian nationals against the U.S. However, U.S. interaction with Iran at The Hague solely covers legal matters. The U.S. Government, by executive orders issued by the President as well as by congressional legislation, prohibits nearly all trade and investment with Iran. Sanctions have been imposed on Iran because of its sponsorship of terrorism, its refusal to comply with IAEA regulations regarding its nuclear program, and its human rights violations. Most recently on December 31, 2011, President Obama signed into law the National Defense Authorization Act for Fiscal Year 2012. Under Section 1245 of the Act, foreign financial institutions that knowingly conduct or facilitate certain significant transactions with the Central Bank of Iran (CBI) or with Iranian financial institutions designated by the Treasury Department risk being cut off from direct access to the U.S. financial system. In January 2012, the European Union decided to ban imports of Iranian crude oil and petroleum products and freeze assets of the CBI. Taken in combination with the many other sanctions on Iran that continue to be implemented by the United States and the international community, this pressure is part of a dual-track policy to compel Iran to engage seriously in discussions with the international community on its nuclear program. Obstacles to improving relations between the U.S. and Iran remain. The U.S. objects to Iran's sponsorship of terrorism and its nuclear weapons ambitions. The U.S. Government also is concerned about Iran's recent crackdown on human rights and detainment of civil society actors. Iran still has not recognized Israel's right to exist and has hindered the Middle East peace process by arming militants, including Hamas, Hizballah, and Palestinian Islamic Jihad. Despite these obstacles, U.S. and Iranian representatives have discussed a number of issues of concern over the years. U.S. and Iranian envoys cooperated during operations against the Taliban in 2001 and during the Bonn Conference in 2002, which established a broad-based government for the Afghan people under President Karzai. In 2007, representatives from the two countries met several times to discuss Iraq.